Toronto Licensed Insolvency Trustees | Harris & Partners Inc.
Debt help is available at a Harris & Partners office near you. To offer you more comprehensive services, we are also affiliated with the accounting firm of Harris & Partners LLP. Visit our offices in Markham, Barrie, Brantford, Hamilton, Kitchener Waterloo, Oshawa, Pickering, St Catharines, North York, Toronto or Brampton. Harris & Partners Inc. is a Toronto Licensed Insolvency Trustee practicing in Southern Ontario since the early 1960s. 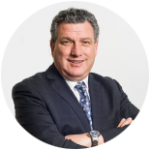 Founded by Lawford Harris CPA, CA, CIRP, the firm is presently led by Jay T. Harris CPA, CA, CIRP and President. Jay joined Harris & Partners LLP in 1982, obtaining his CA designation in 1984. In 1987, he was a founding partner of Harris & Partners Inc. Licensed Insolvency Trustee and Restructuring Professional. In January 2000, he took over from his partner and assumed the President position of the company. Jay led the expansion of Harris & Partners Inc., from three offices to its present eleven offices in Southern Ontario. His experience in consumer and corporate restructuring is extensive. Jay’s goal is to provide the best answers to the questions he is presented with, while dealing with the financial and emotional strains that come with difficult position the debtors find themselves in. In 2017 Jay was honoured to receive the prestigious FCPA designation. This designation, the CPA professions highest distinction recognizes significant career achievements and community contributions. Kyle joined Harris & Partners Inc. in 2011 after completing his law degree in the United Kingdom. Kyle became a Licensed Insolvency Trustee in 2017. 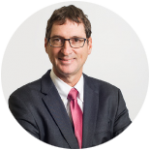 He is also a Certified Insolvency Counsellor with years of experience and a proven ability to help his clients get the fresh financial start they need. It is Kyle’s goal to ensure that his clients have a firm grasp on their situation before leaving his office. Adam joined Harris & Partners Inc. in 2008 after 8 years at Ernst & Young. He obtained his CA designation in 2003 and received his license to practise as a Licensed Insolvency Trustee and Restructuring Professional in 2007. Adam is focused on providing his expertise to fixing mid- and small-market enterprises and consumers experiencing financial difficulties. Adam’s main goal is to help his clients overcome their financial obstacles and achieve what they initially started out to do. 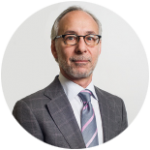 Domenic joined Harris & Partners LLP in 1984 as an articling student after completing his studies in accounting at Schulich School of Business. In 1990, Domenic joined Harris & Partners Inc. and quickly became immersed in the field of personal and corporate restructuring. 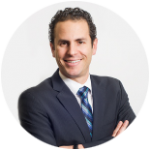 As an experienced administrator, Domenic’s clients always get the information they are seeking and never leave his office without the comfort of knowing that they truly can improve their financial situation quickly and easily. 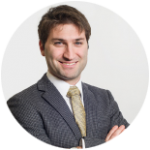 Joshua joined Harris & Partners in 2016 after completing his Master’s Degree in International Business. In 2018 he became a CIRP, with intention to challenge the LIT licensing exam in early 2019. Joshua is enrolled in the Chartered Insolvency and Restructuring Professional qualification program with intention to complete the course within two years. He is a certified Insolvency Counsellor and has a firm grasp on helping clients get a fresh start. He also manages the firm’s advertising and technology. 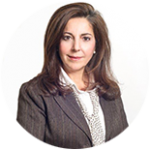 Mary joined the Harris & Partners team in 1987 and has since been providing exceptional and personalized bankruptcy and proposal services in the Greater Toronto Area. Mary’s business major lies specifically in Consumer Behaviour which has allowed her to develop a very unique and individual service style. 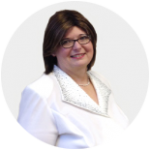 Fluent in the Greek language, Mary’s 20 years of experience ensures she recognizes the debtor’s immediate needs in offering streamlined debt solutions that prove not only successful for the debtor, but offer them the privilege of regaining their financial power with dignity. Mary places emphasis on instant gratification for her clients, by placing herself in their shoes, ensuring a sincere environment of genuine care and concern. Marlene joined Harris & Partners Inc., in 2011 to head up the newly formed Hamilton and surrounding area office. 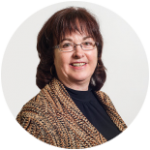 Marlene has been in the insolvency business for over 25 years and has obtained her CIRP along with becoming a certified BIA Counsellor. In addition, she has obtained a Counselling Techniques Certificate Program at Mohawk College. Marlene has extensive experience in dealing with all sorts of consumer insolvency matters with a goal to provide the best solution that one can get when looking for protection from their creditors. Marlene was born and raised in Hamilton and understands the nature of business and economy in the region, which helps her serve her debtors. Robert has worked in the insolvency field since 1991 and joined Harris & Partners Inc. in 1999. As well, Robert is a Certified Insolvency Counsellor under the BIA. With over 23 years of experience in the insolvency field, Robert is able to deal with all situations that are presented to him. Robert has previous experience in business and real estate, which better helps him look at the different financial situations of the individuals that he sees. As well, this enables Robert to present to the individuals the best options for their particular circumstance. Robert has developed a vast array of contacts that refer individuals to him primarily because of his consumer proposal experience. 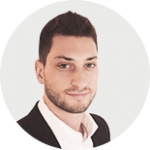 Robert’s success rate in consumer proposals is almost perfect due to the high volume of individuals he sees and the contacts he has developed with the creditors. 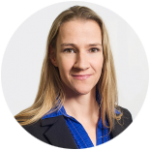 Katherine joined Harris & Partners Inc. in 2006. She quickly earned a certificate as a Qualified Insolvency Counsellor. Currently, Katherine is enrolled in the Chartered Insolvency and Restructuring Professional Qualification Program in hopes of acquiring a license as a Licensed Insolvency Trustee and Restructuring Professional. In 2010, Katherine headed up the extension of Harris & Painters Inc. in Barrie, Ontario. Her leadership skills have allowed her to flourish within the community, and she is known as a person that cares. Her years of experience as an Estate Manager provide a vast knowledge of personal insolvency matters. Katherine’s personality provides for a comfortable environment for client’s seeking financial advice. Susan has worked in the insolvency field since the early 1990s and joined Harris & Partners Inc. in 2001. Susan has earned a Certified Insolvency Counsellor under the BIA. Susan manages the Brantford office and has supervision over the region. Sue’s temperament allows her to listen to the debtors and offer them the best advice for their specific needs. As part of the Brantford team, Susan has had to deal with people living on the Local Reserve and has come to understand the complexities as they are combined with the legislation that she works under. 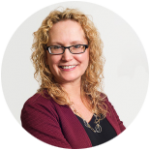 Susan was born and raised in Brantford and has a good understanding of the nature of business and economy in the region which helps her serve her debtors. Joanne graduated from Brock University with a Bachelor of Arts in a combined major of Business and Psychology. She then went on to complete the Law Clerk courses for Real Estate Law at Niagara College, following which she completed Insolvency Administration Course through CAIRP at the same time as joining Harris & Partners Inc. to manage the St. Catharines office. Joanne is quite knowledgeable about insolvency and, given her other education, seeks out the core issues when people come to see her and find the right solutions. Joanne has a kind soul and really wants the debtor to feel comfortable whenever dealing with these difficult situations.